I can only imagine what’s going on here! 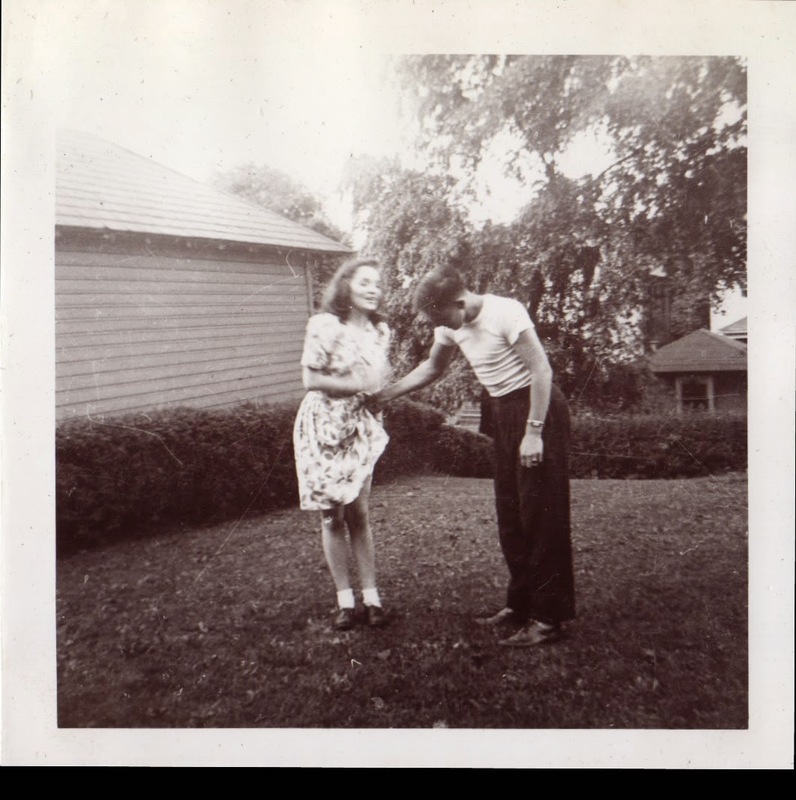 This is my grandfather Chuck Lowry flirting with Alberta McHenry. Alberta was my grandfather’s high school sweetheart. She was a 1943 Ursuline High School graduated; my grandfather was a 1942 grad. I have numerous photos of the two of them together. They started dating around 1942 and split up around 1945, before he started dating my grandmother. While it’s a little weird to think of my grandfather with someone other than my grandmother, we have to remember that most of us dated other people before finding the love of our lives. With Facebook, Twitter, and Instagram, some of today’s short-lived romances will be even better documented than those from 60 years ago that exist as just a few 3×3 Kodak prints.